A casual observer may make that mistake, after all, it's got a peaked roof, wood siding and double pane glass windows. It's sitting on rubber tires. It looks like some crazy mobile home. It doesn't look like much with it's boarded up windows and curling shingles, but looks can be deceiving. Take a closer look at the porch roof. The arched roofline and milled radius edges should tell you this is a little more extraordinary than it appears. Still not convinced? Look at the other end, do you see the passenger car roof peeking out from under the peaked roof? If it's not a dilapitated old mobile home, what is it, how did it get here, why is it here? Minnesota owes much of it's modern history to the railroads. One of the early railroads in the state was the St Paul & Pacific Railway. The StP&P started hardly any different than others of the era, a small company with big ambition and little money to realize those ambitions. By the 1860s, it was a modest regional railroad far from reaching the Pacific ocean. 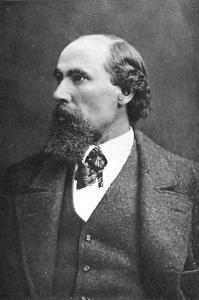 It would take James J Hill and his associates acqusition of StP&P in 1878 to realize that ambtion. By the 1880s, Hill had turned the tiny StP&P from a small regional railroad into the first link in a growing rail system with a transcontinental potential. Now reorganized as the St Paul, Minneapolis & Manitoba Railway, Hill was pushing west into North Dakota and Montana. By the late 1890s, Hill had combined the StPM&M with a number of other roads along his newly completed transcontinental route from Minneapolis/St Paul to Seattle/Tacoma to form the Great Northern Railway. Today, you may know the Great Northern Railway as a component of the BNSF Railway. But what does this have to do with the old mobile home? It's not a mobile home - remember? Part one: The "what and why?" of an office car. The office car filled several roles. First and foremost it served as a mobile office for the railroad's executives. An important aspect when building a railroad across thousands of miles of undeveloped landscape. It also served to entertain shippers, serve as a mobile hunting lodge and provided convienient transportation in days when there were few paved roads, no cars or private planes. They also put an impressive face on the railroad to the small communities it served. The newly formed StPM&M needed an appropriate office car so it went to Pullman to order one. By the 1880s, Pullman already had an international reputation for building some of the finest passenger equipment available. In May of 1880, Pullman delivered the Manitoba to StPM&M. It must have been impressive as delivered. Painted glossy, olive green, it rode on 6-wheel composite wood and steel trucks, featured gas lights, a brass railing around the end platforms, cherry and mohagany interior panelling and outside, gold leaf lettering across the letterboard proclaimed it to be a part of the St Paul, Minneapolis & Manitoba Railway. The car name "Manitoba" appeared centered, below the belt rail. At about 59' in length, Manitoba was somewhat short for its era considering it was the begining of the Palace Car era and Pullman was already building 70' and 80' closed vestibule cars, but it wasn't a revenue car, needing to maximize space for passengers and its size was adequate for its role. The dining room doubled as space for the steward and his berth folded away in the ceiling above the dining room when not in use. The car steward was responsible for the entire car when it was on the road. He made sure the kitchen and linens were properly stocked and everything was in order prior to departure. He doubled as the chef and made up the beds at night. There was a small kitchen next to a single stateroom. Next was a lavatory. The observation room featured four open sections with upper and lower berths for guests. A small observation section brought up the rear. The woodwork was ornate with carvings on the window valences depicting capital capped columns and wreaths of flowers. Gold leaf pin striping lined the perimiter of the white ceiling panels. Part two: "The Empire Builder"
By 1890, James J Hill had largely competed the transcontinental route from Minneapolis/St Paul to Seattle/Tacoma, the only real gap being the crossing of the Cascade Mountains. It was in 1890, the Great Northern Railway was formed by combing several railroads, including the St Paul, Minneapolis & Manitoba Railway, into one complete system across the northern tier of the United States. StPM&M office car Manitoba would become Great Northern Railway office car A2 and remain the private car of Hill. Somewhere around 1894, GN A2 was converted from acetalyne gas lighting to electric lighting. GN A2 served the railroad and Hill well. It carried Hill's family on vacations to the east coast, hunting trips to Canada and countless other family adventures. Hill often loaned the car to freinds of the family. Two notable occasions include a time in 1892 when it appears to to have been used by Arch Bishop Ireland in some capacity and in 1884 when sources list it being loaned to newlyweds Rufus and Susan Rand of Monticello, MN for their honeymoon. As the cliche goes, all good things come to an end. July 31, 1900 appears to have been the end of the "glory days" for GN A2 as Hill's private car. On that date, the Great Northern Railway took delivery of a brand new office car for use by Hill, GN A18. Built by American Car & Foundry, GN A18 didn't look terribly different from GN A2 other than being a little longer and slightly more modern. From now on, old GN A2 would be relegated to use by other railroad officials. From the work of author Eileen R McCormack, we learn the names of two men who worked for the Great Northern Railway as car stewards on Manitoba, Charlie Holt and Robert Minor. Not much is written about Holt. We learn mainly about Minor in McCormack's informative article "He was a Dear Freind - Robert C Minor: Steward on James J Hill's Private Railway Car" in the Winter 2015 edition of Ramsey County History magazine. Both Holt and Minor lived in the Rondo neighborhood of St Paul. The Rondo neighborhood came to ne known as a neighborhood made up of mostly African Americans, many of whom worked for the railroad as dining car stewards and Pullman porters. 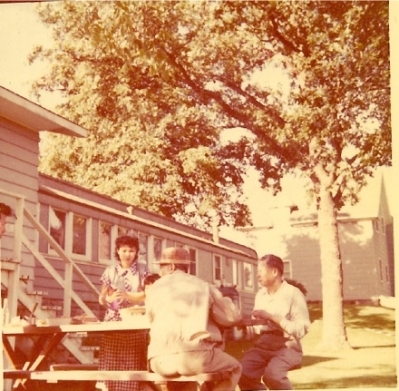 While enduring racisim and long hours away from home, the relatively good pay also allowed them to join the ranks of the middle class and provide a better life for their families. According to Great Northern Railway records, Holt was the steward on GN A2 from at least 1892 onward, until his death in 1897. McCormack writes when Holt died, his widow sent word to Frank Ward, general superintendant of the railway, asking if Hill would consider helping to cover the $103 cost of her husband's funeral. Ward wrote that Hill said $100 should be sent to Mrs. Holt and Robert (assumed to be Robert Minor) will convey it to her. Minor had already been working for the Great Northern Railway since about 1895 and was known by Hill, having often worked serving dinner parties at Hill's residence on Summit Avenue in St Paul. Likely through this connection, Minor suceeded Holt as Steward on GN A2. For nearly three years, Minor worked as steward on GN A2, often gone weeks at a time leaving his wife home alone to care for their four children. In 1900, Minor follwed Hill to Hill's new private car, GN A18 where he worked for Hill (technically the Great Northern Railway) until Hill's death in 1916. From McCormack, we know the monthly salary of both Holt and Minor, $75 (Roughly $1800 per month in today's dollars) Holt had negotiated this rate in 1892 as a raise from the $60 per month he was making. It was noted at the time that the Great Northern superintendant of Dining and Sleeping cars wrote Hill , asking Hill to "look after him" (referring to Holt) regarding the pay because it was considerably more than the other dining car stewards were making. It's likely the same "arrangement" applied to Minor as he made the same salary. Incidentally never getting a raise from 1897 until he transfered to work in the Great Northern Railway offices in approximately 1921. Hill's wife continued to use GN A18 after her husband's death and Minor was the Steward for her travels. While Hill enjoyed the comfort of the newer GN A18, GN A2 continued to be used by other officer's and superintendants of the Great Northern Railway. In the early 1900s, it was rebuilt with a steel under frame. It was renumbered as GN A16 and used by various superintendants. By 1935 it was considered surplus and sold for scrap. 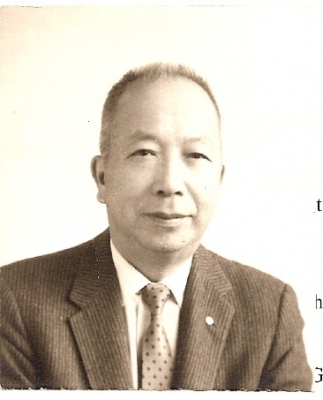 Walter James was a local Twin Cities business man known for his Nankin restaurants. 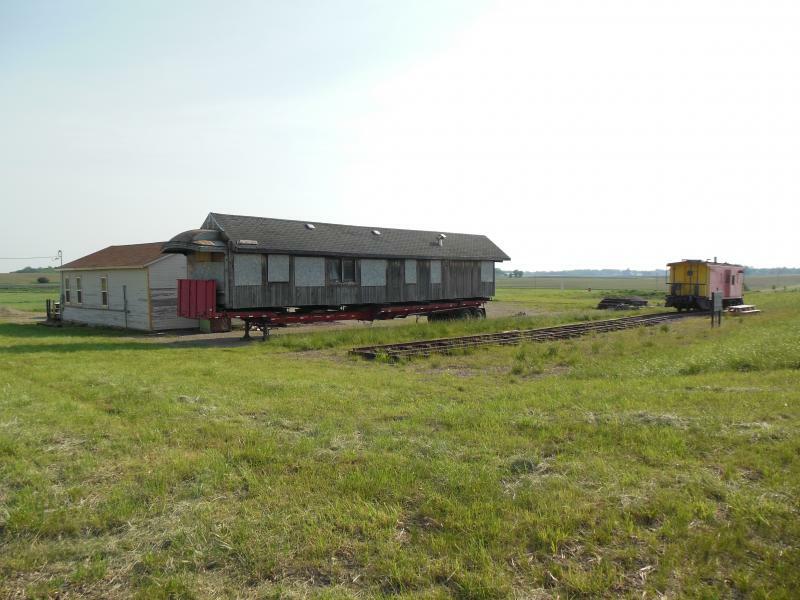 Manitoba's history continues in 1935 when it was retired by the Great Nothern Railway. By 1935, Manitoba had lost its name and now carried the number A16. It still served as a GN office car, but no longer hosted the railroad's top brass. Walter James owned and operated a farm in Howard Lake, MN. 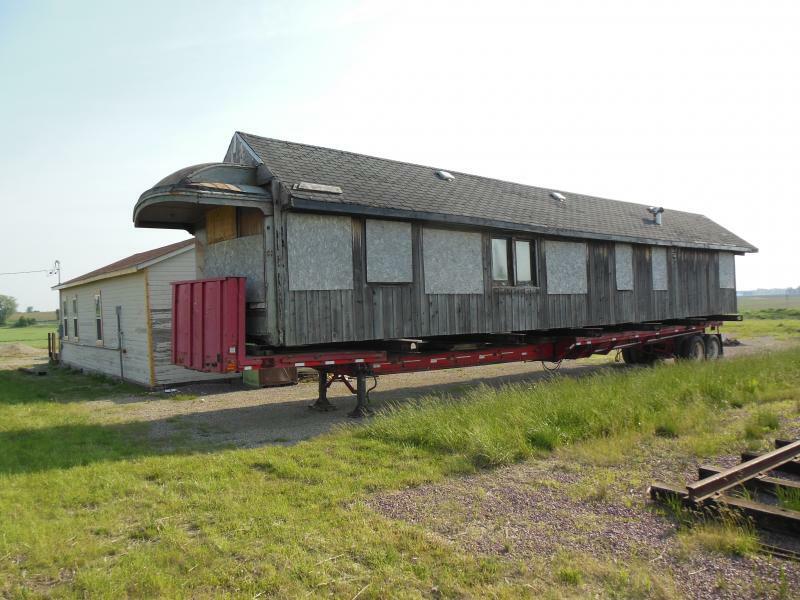 Around 1935, James purchased Manitoba's carbody minus its trucks and underframe for use as a guest house on the edge of his Howard Lake farm. It was used in this capacity and remained relatively unchanged over the years with the exception of a gas range and newer kitchen sink being added sometime in the 1950s. 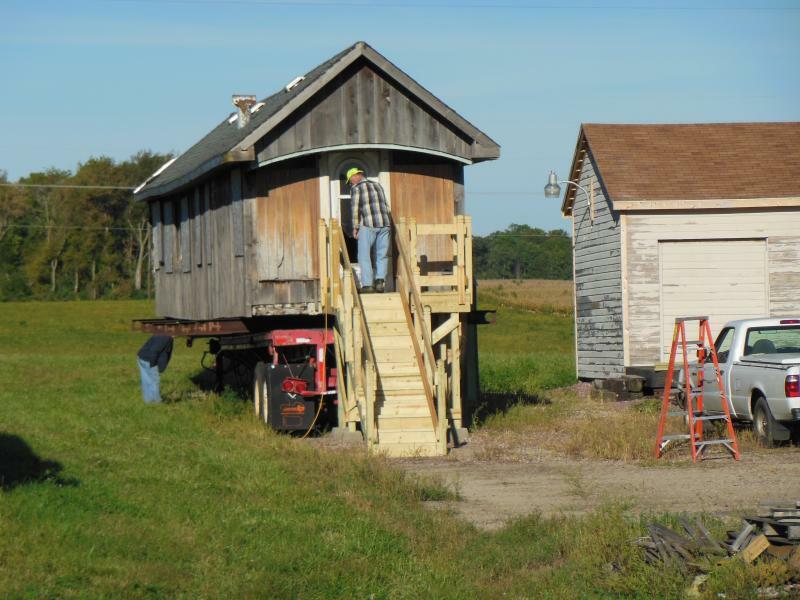 By the 1960s, it appears James' family built a split level home on the site where Manitoba sat, incorporating the car into the home. House lap siding covered the original car siding. Sometime in the 1970s or 80s, Manitoba acquired a peaked roof over the existing roof and a second covering of house siding. While it obscures its original appearance, these changes helped preserve Manitoba. In 1998, while GSRM volunteers staffed a display at Annandale's Pioneer Park during its Railroad Days event, a gentlemen stopped to talk. The gentleman had a handful of Polaroid photos of an old passenger car and asked if the volunteers knew of anyone interested in carpentry that would like to buy the car to dismantle it and possibly rebuild parts of the interior in their basement. GSRM volunteers were interested in what they saw in the photos and arranged to look at the car. Time was critical, the home was slated for demolition by the State of Minnesota Highway Department as part of a US 12 relocation project. After looking the car over, GSRM volunteers realized there was historic value to saving it, but didn't know it was the old StPM&M Manitoba. GSRM purchased the car for $8000 and moved it to New Prague, just before the wreckers came to raze the home it was connected to. Volunteers found the numbers A2 and A16 chalked underneath some seats. Great Northern used A-series numbers for its business cars, could it be an old GN Business Car? Volunteers made a visit to the Minnesota History Center. An 1894 GN document detailing GN business cars contained a page detailing car A2, formerly "Manitoba". There were no drawings, but the detailed description matched GSRM's office car exactly. The document stated Manitoba was built in May 1880 by the Pullman Company for the St Paul, Minneapolis & Manitoba Railway as an office car. Armed with this information, volunteers conatcted the Great Northern Historical Society. Its volunteers compared a floorplan created by a GSRM volunteer, to official GN diagram book pages. It matched exactly to the floorplan of GN A2, renumberd as GN A16 before it was retired in 1935. GNRHS volunteers were quite certain the car GSRM saved was the Manitoba. What a find! 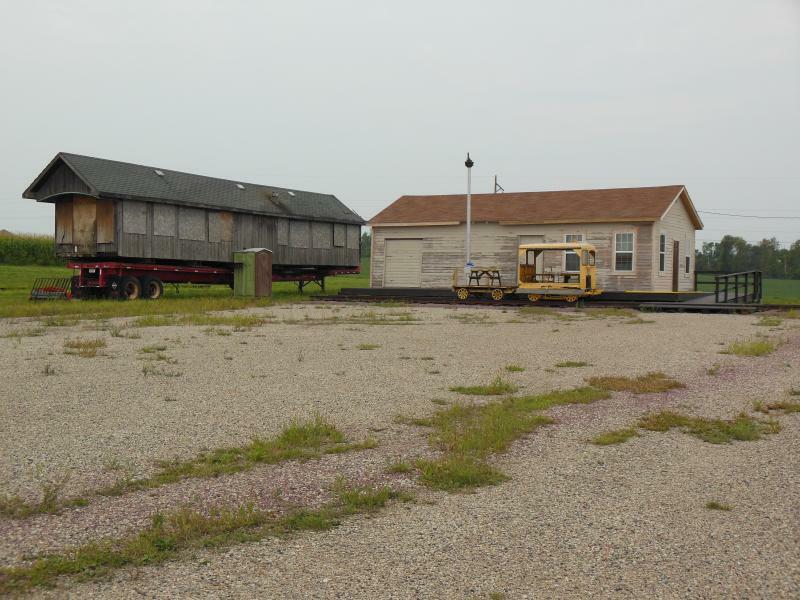 By being in the right place at the right time, GSRM had managed to save a significant piece of Minnesota railroad heritage. Today, Manitoba sits on a flatbed trailer and is open for tours. In the not too distant future, a fundraising campaign will be centered on Manitoba, its restoration and a building in which to carry out its restoration. If you'd like to find out how you can help, see our "How Can I Help" page.